A fusion of organic, twisting bone and robotic wiring, this suit of armor is hewn from Hellfire for the darkest of warrior souls. This black backpack has an all-over bio-mechanical design with an aggressive black metal twist, and it is made of high quality 600D Oxford cloth, using breathable padding and it has sturdy metal zippers. 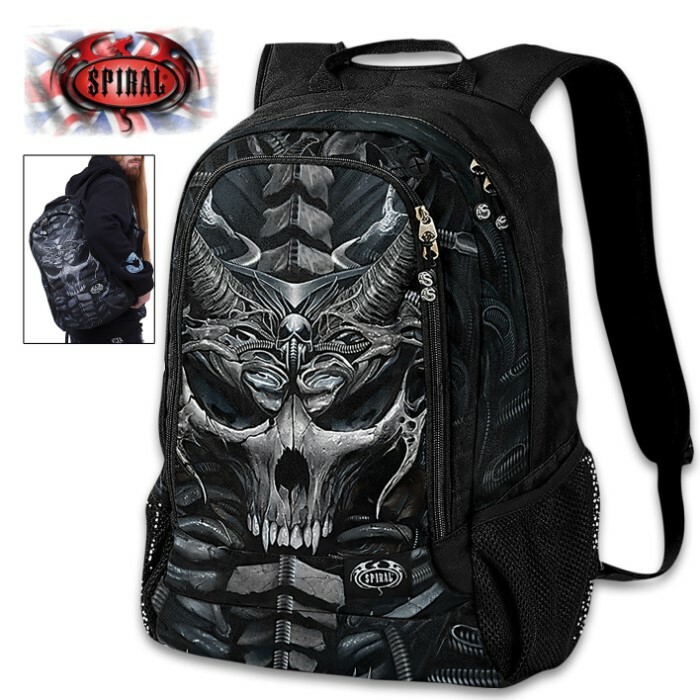 The vivid, original skull armor artwork is printed with skin-friendly Azo-free reactive dyes. It features a mesh mobile pocket, a 15” padded laptop pocket and it also features a keyholder. 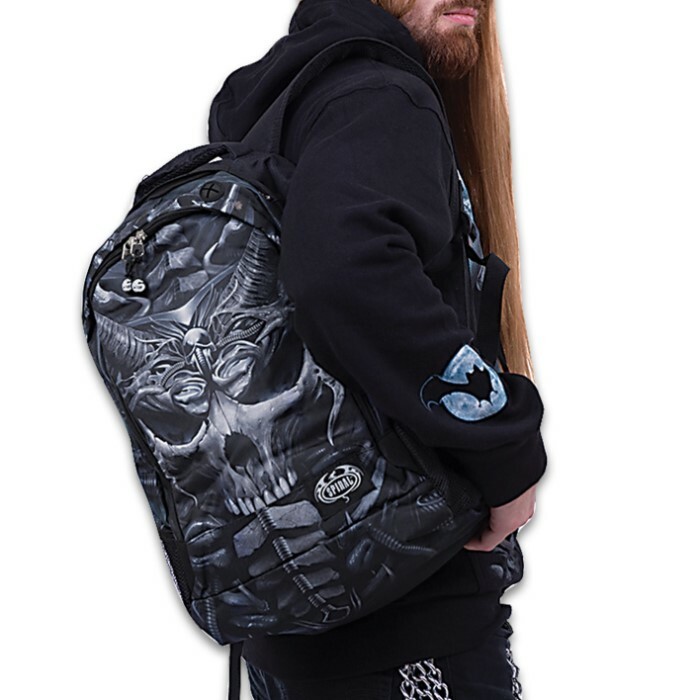 The black backpack’s dimensions are 18”x13”x 7 1/2” and it has adjustable shoulder straps and a top carrying handle.